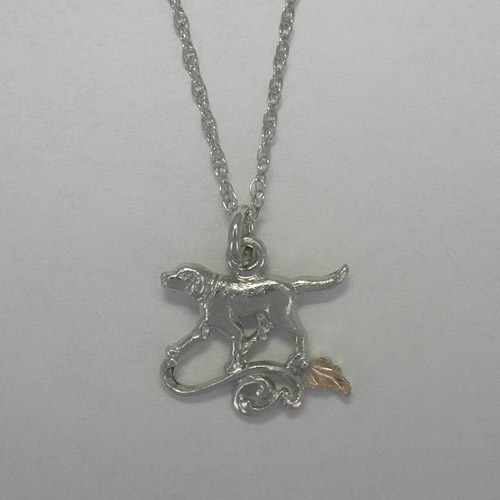 Desc: Black Hills Gold Sterling Silver Labrador Retriever dog necklace. The Sterling Silver chain is rope link and has a spring ring clasp. The pendant is fashioned to resemble a Labrador Retriever dog trotting above a swirling, open design. One rose gold leaf is mounted near the hind left leg of the dog. The necklace has a textured and bright polish finish. This necklace is made in the United States of America.